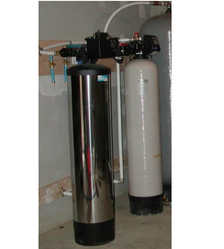 Manufacturer & Exporter of Hydrogen Purification Systems. Our product range also comprises of Gas Plants, Industrial Plants and Ammonia Cracking Units. Meeting the demands of customers as a manufacturer, supplier and exporter, we are engaged in offering Hydrogen Purification Systems. Demanded for the places, where hydrogen bottled gas in high purity form is not available, these systems are manufactured with perfection. Apart from this, we keep in mind the international quality standards, while manufacturing these systems.